On Sunday September 28, 2014, one day before Michaelmas, the Feast of St. Michael, Rev. Lori Bruno and others present dedicated a statue of St. Michael to the Salem Police Department. The statue was presented to the police department and it was graciously accepted by Police Chief Paul Tucker and a contingent of officers present. St. Michael is the patron of police and is often depicted as defeating evil or the "adversary." While often seen as a Christian symbol, the spiritual force pre-dates the Christian church and is spoken of in many non-Christian paths under many names. The statue will have a home with the Salem Police. 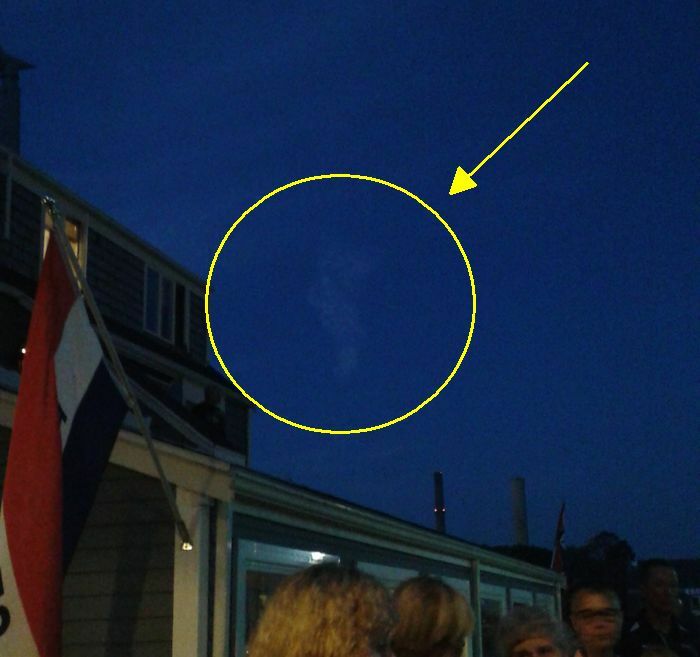 During the ceremony an interesting and not-often seen vertical cloud formation took shape overhead, looking much like an angel with wings. Was this a manifestation of the St. Michael energy? We'll leave it up to the reader and viewer to determine for themselves. For what its worth, that was the only low-level cumulus cloud in the sky. Cloud forms in the northern sky. Here it is if you can't easily see it. 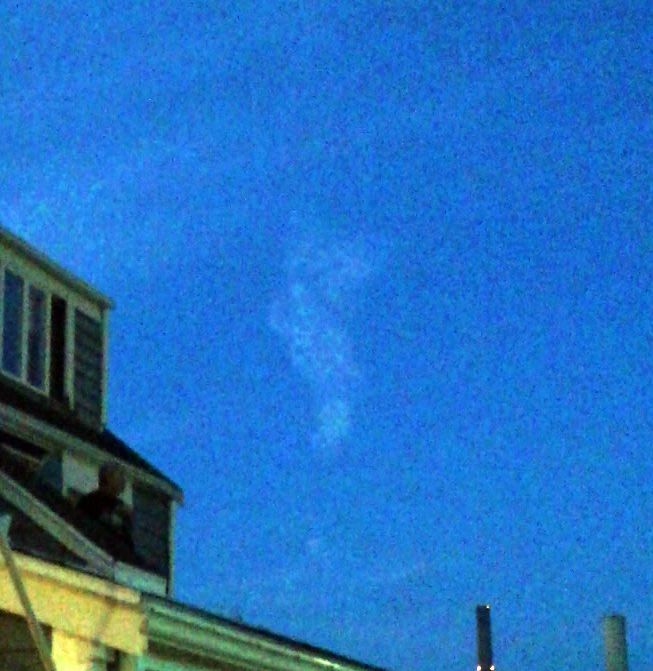 Enlarged and enhanced image. The shape bears a striking resemblance to the statue and symbology often seen in spiritual literature. Rev. 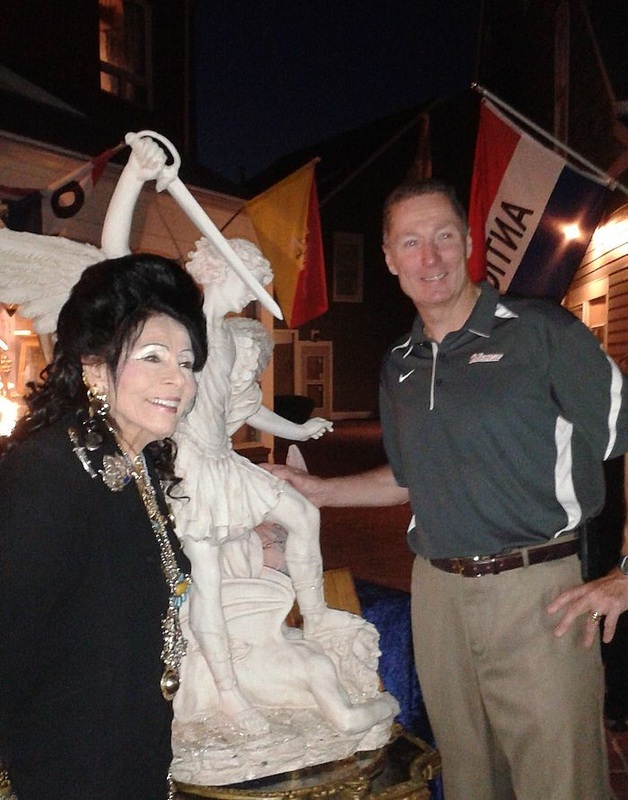 Lori Bruno (Left) and Salem Police Chief, Paul Tucker (Right) with the statue of St. Michael at the dedication ceremony that took place at Salem's Pickering Wharf off Derby Street.